Fish population surveys on Tongue River Reservoir (TRR) by Montana Fish, Wildlife & Parks (FWP) indicate good sport fish populations for 2016. Black crappie and white crappie are the most abundant sport-fish in TRR. In 2016, trap nets captured more than 60 crappie per net, almost double 2015 rates and above a seven-year average. Walleye are the second most abundant sport-fish in TRR. Gill nets captured more than 10 walleye per net in 2016, well above the 20-year average of 4.6 walleye per net. Northern pike numbers are found in low densities compared to crappie and walleye, with about two pike per gill net caught in recent years. Night-time electrofishing sampling showed smallmouth bass are abundant, but the majority sampled are less than seven inches. The juvenile fish are important for forage for adult sport fish, however. 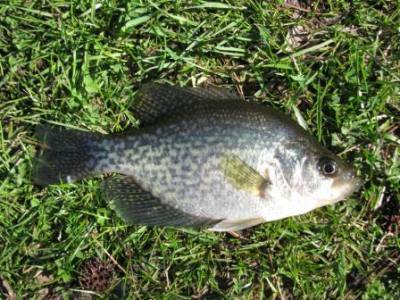 Seine hauls this summer suggest a poor year for production of young-of-the-year (two to three inches) for the four principle forage species of yellow perch, crappie, largemouth bass and smallmouth bass. FWP employs a variety of sampling methods on the reservoir including overnight trap-sets, gill-net sets, seine hauls, and electrofishing.